IGNOU, Indhira Gandhi National Open University , or otherwise known as the People University is one of the largest open university. It offers a wide variety of courses and the distance education offered by IGNOU is accepted all over India. Master of computer Application at IGNOU is 3year course, maximum duration given up to 6years. Total Course fee is Rs 54000/- No Age Bar to join the course. Mini project needs to be submitted during the fourth semester of the course and before submitting, we need to submit the Project Synopsis for approval at the study center. Here is a sample Synopsis for the students to refer. Implementation of security mechanisms at various levels. Technology has developed a lot during these years and is trying to bring everything under the shade of its umbrella. Let us think of the governmental sectors the private firms etc, all are using the features and functionality of the emerging technology for showing of their growth and also to get into the fast world. With the implementation of newer systems of information collection, compilation, storage and retrieval, it is becoming increasingly possible to provide the necessary information on time. The demand of the public - now exposed to the possibilities offered by modern systems and technology - is becoming stronger than ever before. They are impatient for faster and more accurate information. 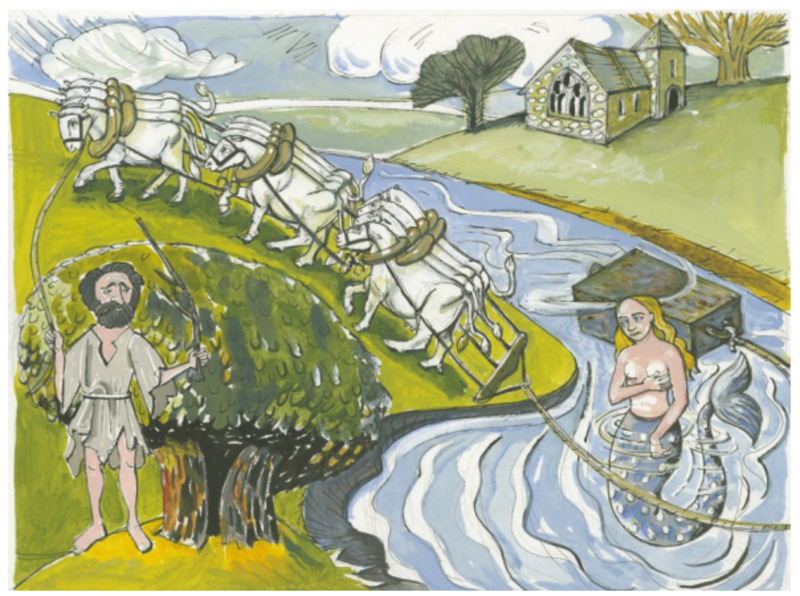 Though the technology had reached all the ways in the fields of industries, the same has little reach in the fields of sectors like churches, and other similar institutions. Though lot many managerial matters are included in these institutions, all the functionalities are still managed manually. One of the major responsibilities of the church is ensuring the welfare of its parishners. To do this the church needs to be able to communicate better with the people, take steps to redress grievances and ensure that systems are put in place to make life easier and benefit the parishioners. Nowadays, most of the people are having high standards of life and also with a busy schedule that it would be a grace if one could know the details of church and other related institutions with one or two clicks. 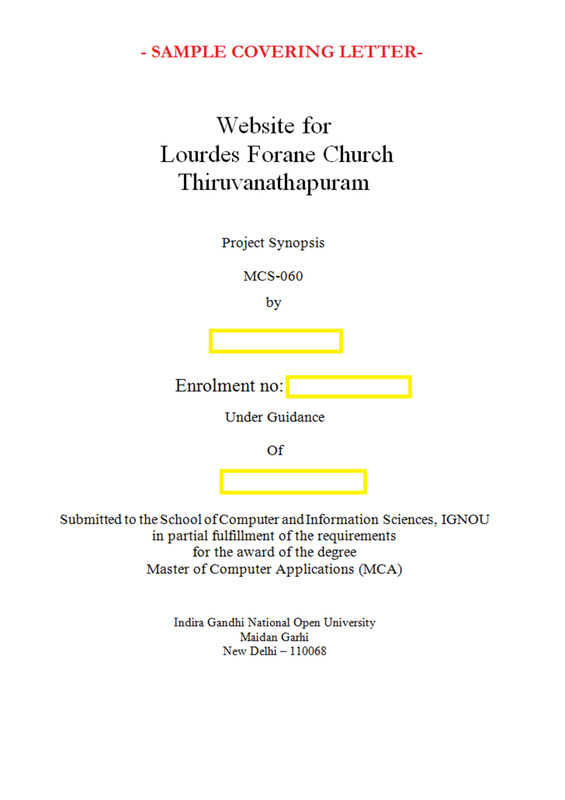 The strategy of this project is to provide a website for the most greatest and famous Syrian catholic church in Kerala, the Lourdes Forane church, Trivandrum. Almost all the parishioners of this church are basically from outside Trivandrum and if they are provided a facility to keep in touch with the events and other functions of the church and also to access the church, even from their hometown it would be of great exploit. Some of the major roles and responsibilities of any Church is to interact with the parishioners, grievance addressed of the parishioners, execution of plans, and execution of events, data collection and other related activities. Due to the huge and ever increasing work load in a church and also because of less manpower in these areas, its efficiency has fallen significantly over time. 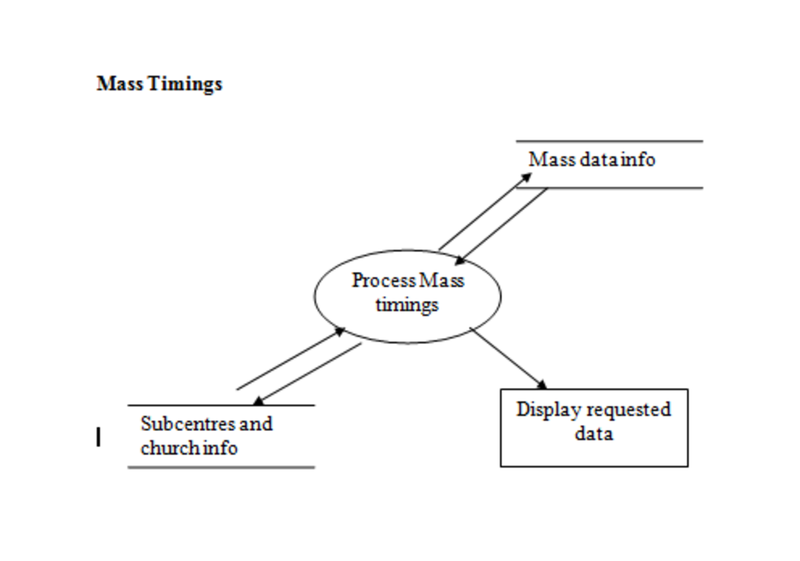 The proposed project specifically addresses most of these issues to improve the general efficiency of the typical church and related activities in the same. 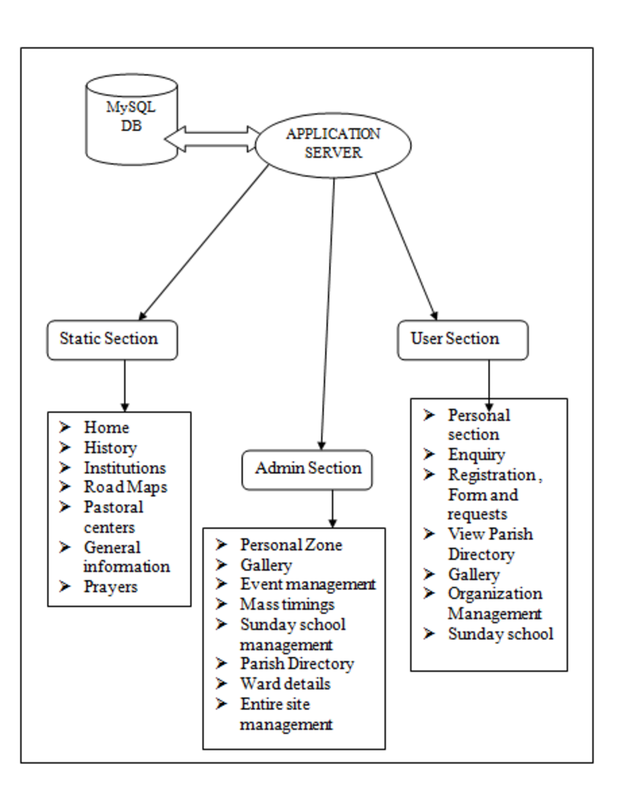 It is a web based environment with PHP 5.0 as the server side scripting language and MySQL 5.0 as the relational DBMS. Clients will be internet Explorer based. Mozilla, FireFox etc can also be used. Are you a student of IGNOU? It is difficult in following up the requests forwarded by most of the Parishners in time. Most of the time the needs can be fulfilled only if one comes and meets the parish priest and work along with the priest till the end of the event. Lack of proper way to approach the church for any type of request. Lack of efficient co-ordination of the request and tasks among the office staffs and other administrators. Lack of skills in the modern tools of automation that enhance the efficiency and productivity. People have to travel long distances to come to church to know about the news and other related information and also to get certain certificates and other notices. Mostly the details of the organizations and other related information are known only to limited groups in the church. Any new updates in the organizations and other information are not noticed to all at church. The working of Sunday school and the results of exams are not known to the parents, for that parents needs to come to church. Now registering to the church and related procedures are unknown to most of people, even to the Parishners. There is no way to let other Parishners know the personal events that occurred in church recently. No way to request for prayers and all from home, without going to church. The site will be able to handle and automate all the functionalities of the church. It shall be able to do the following functionalities. In this site each family will be having a login and for the same they have to register using their family name and with ward name. They can use their registration for uploading their details, events and image galleries. 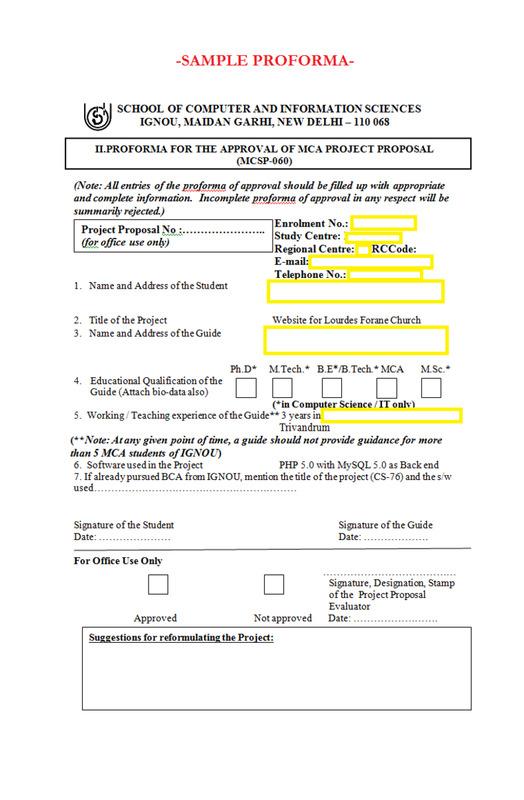 Also they can request for the alerts of events and other details of the church through email. On the other hand admin users has access to the church related management areas like, managing the Sunday schools, institutions, organizations, mass timings, parish directories, feasts and events of church, ward details etc. Admin will have the over all power to enter into the other user’s login and make needed changes or modifications if necessary. 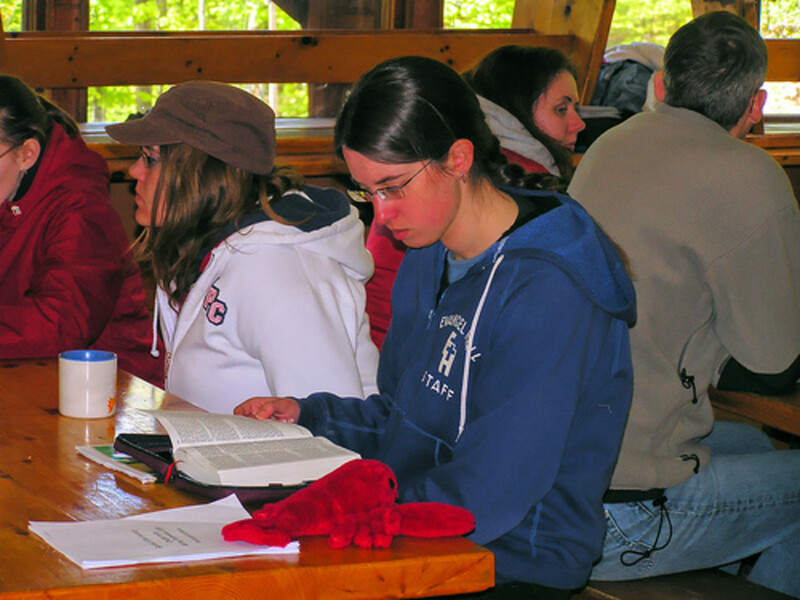 Parish directory contains information regarding the whole members of the parish. It will be in directory format and will be supplied to the Parishners. But it will be an added advantage if an online copy of the same is also maintained. Users will be having option to search using family name, dioceses etc. 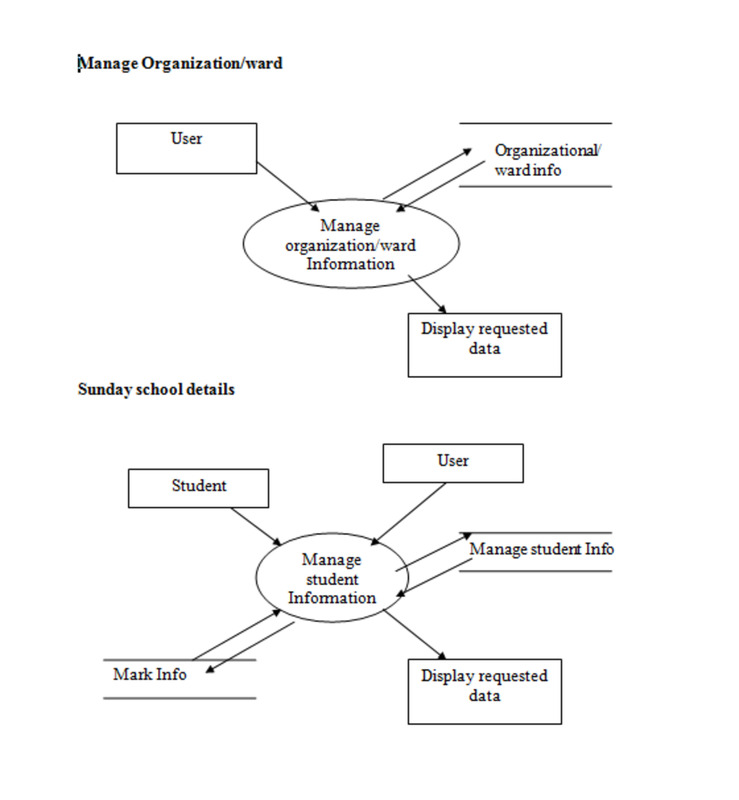 Institutions or organization can be managed by admin user. The details of the organization, the history etc can be published. Timely updating of the administrators and events occurring in the same or the events and charity done by the organization like Pithruvedi, Mathruvedi and Yuvadeepthi will let the Parishioners know about the activities of the same. Events of the church and even personal events can be managed over here. Admin will be entering the church related events and individuals and organization can enter their events so that, it will be shown in the home page section of the site. Recent events will be shown in the first and events that had already occurred will be moved to the past event section. The school management includes the details of teachers and students, class wise list. The details of students mark and academic marks. The same can be seen to the parents through request. 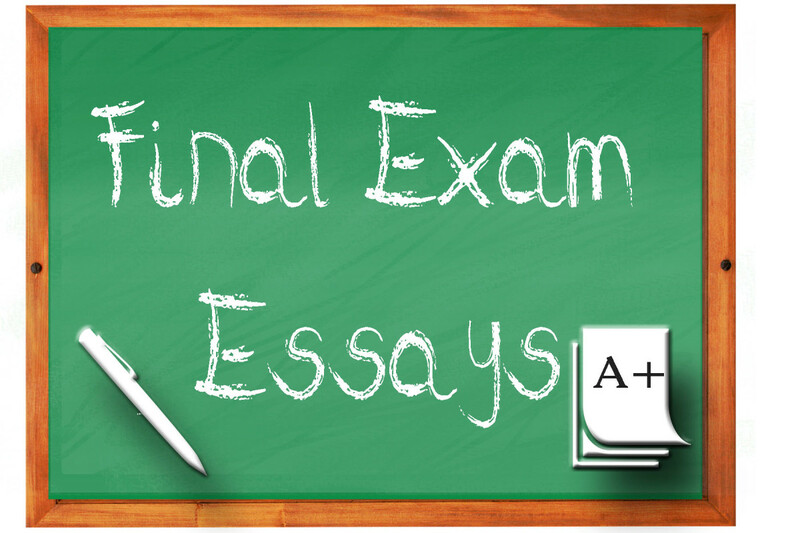 The option will be there to request the results of the exams held to be known through email. Any type of enquiry regarding the church and other related institutions will be entertained through the enquiry section. Any body can request or post their enquiries and the same will be replied to the email provided by the requester with a day’s time. Also contact number for immediate enquiry will also be provided. 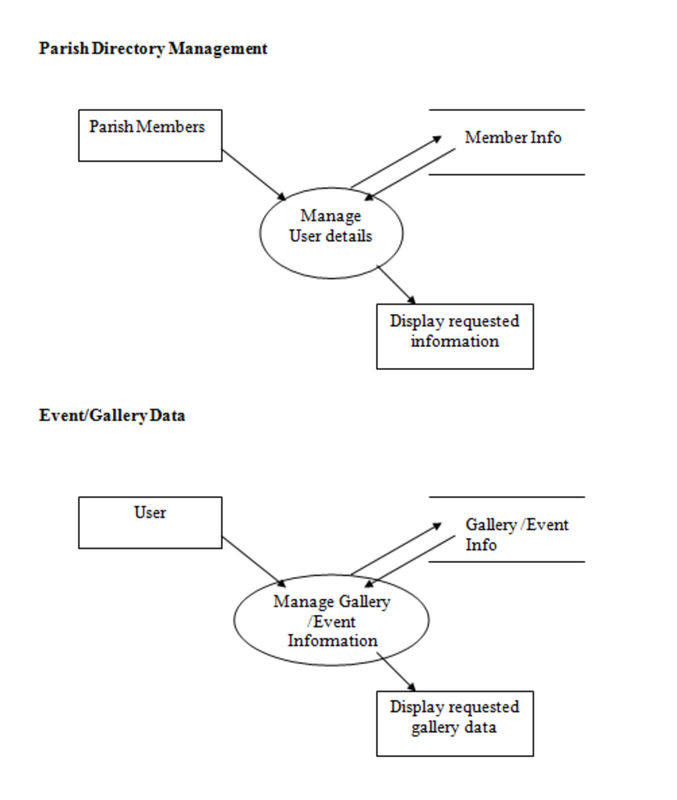 Gallery management usually comes under the event management section. Based on the events happened, users can upload photos for others to view. Individuals can upload their photos related to their family, groups etc. Admin will be uploading the photo regarding the church and related institutions related photos. Admin will be having the full power to screen the photos and delete them if needed. The main functionality of the church is mass and every body will be having a question as when is the next mass on a particular day. The change of mass time will be entered periodically and will be seen in the site. In addition to the same, any change in the timings will be alerted to the Parishioners through their emails provided, at times. Each wards of the church will be having their own functionalities as similar to the organizations. The same will be managed by the ward leaders. The events happening in the ward, the activities etc can be entered and displayed for the public to view the activities. Ward leader will be having access to control the login and other management details. The development time including database design, screen designing and coding and testing is one month. First two months the screen, database design and system design will be over. Second and third month is for developing modules, architecture design and coding the site. Rest will be for testing and error correction. System analysis is a detailed study of various operations performed by a system and its relationships within and outside the system. The commonly used tools for analysis are DFD (the logical representation of the analyzed system), interviews, onsite observations etc. The modules data is stored in the database. It can be accessed only by user who is having access permission. Access control module also gives security to all application modules. This module is for administrative purpose for giving task level permission to users of the Application. Security refers to the protection of data against unauthorized access, alteration, or destruction. Security measures are applied to the proposed system at different levels. There are two type of access to the system, one for administrative purposes and other for the client activities. It provides high security because a client can modify only permitted areas. Primary Key validation is used in this project Password protection is provided at the application level, so that the unauthorized users have no access to the application. This software will help to reduce manual effort and time. It also provides security. The proposed system is user-friendly and every aspects of this system can be easily understood and the user can operate the system easily. We have planed to develop this software as independent in nature and cost effective. As the saying goes “There is always scope for the improvement in every system”, even this system could be improved at various stages. Additional modules such as payment for various registration and other fees. Alerts through SMS and fax etc.